Can we get through the summer heat by using a solution that promises high-energy efficiency? 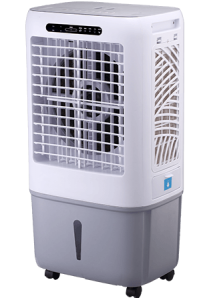 A Portable Evaporative Cooler is capable of delivering a high level of cooling power in a highly effective way. Interestingly, it also consumes less energy while delivering unmatched cooling power. An Evaporative Cooler is a device which is also referred to by many as a swamp cooler. It is a unique cooling device that is suitable for the dryer climates. This explains why they are widely used in the West. The cooling system is inexpensive to acquire and cheap to operate as well. An evaporative cooling system functions by introducing water vapor into the atmosphere, which helps to lower the temperatures. The concept of evaporative cooling is actually a natural phenomenon, which often occurs virtually everywhere in our surroundings. To understand the concept, you can simply turn on your garden sprinklers. When you stand adjacent to the area of your yard being watered, you’ll notice that the air is much cooler. This is similar to the concept of evaporative cooling. Now more and more people choose to use portable evaporative coolers which could offer an eco-friendly and cost-effective to conventional air conditioners. However, there are some things you have to know before purchasing portable air coolers. 1. 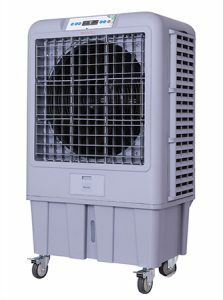 Where applicable for Evaporative cooler ? Evaporative coolers are more eco-friendly and efficient in energy consumption than AC. Typically, they are also more powerful than normal fans. They are used to cool include Church ,Coffee Shop, Computer Shop, Factory, Farm, Fastfood, Grocery, Gym, Hospital, Industrial, Hotel, Home, Kitchen, Laundry Shop, School , Shopping Mall, Showroom, Warehouse, etc. 2. 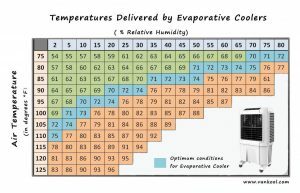 Do I live in the right climate for the evaporative cooler? In areas experiencing high temperatures and low humidity, evaporative coolers effectively lower temperatures to as low as 20 – 40 degrees Fahrenheit. However, in instances of high humidity, the cooler cannot cool you down effectively. Check your location’s summertime temperatures as well as relative humidity to determine whether the cooling system will work for you. 3. 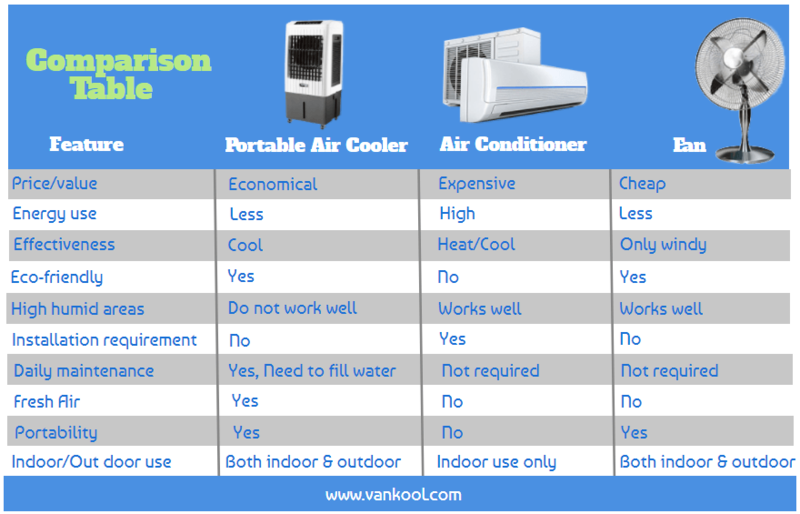 What are the benefits of using a Portable Evaporative Cooler? Using portable air coolers is very cost-effective to cool your place without spending much money on electricity. Swamp coolers cost up to 50 percent less than air conditioners that use refrigerated cooling systems. Imagine that, a 36-inch swamp cooler working for 8 hours typically costs you less than $1! Because the operating costs needed are only for water and electricity. Even some swamp cooler designs don’t need any electricity. Since the system leaves a low level of carbon footprint, it produces no emissions. 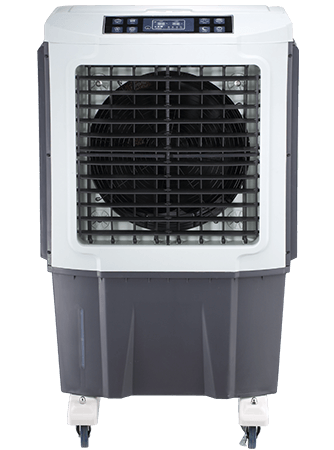 Unlike other traditional cooling systems, the evaporative cooler has no refrigerant gas or compressor. Furthermore, it releases no toxic chemicals in the air. Swamp cooling systems use no refrigerants that potentially harm the environment. Most refrigerant chemicals used in air conditioning systems deplete the earth’s ozone layer. As a result, they cause global warming to occur. The cooler is fitted with a filter to help filter out odor-causing pollutants and dirt from the indoor atmosphere. Consequently, the quality of indoor air in your rooms will be improved significantly. Apart from being eco-friendly, the cooler additionally safeguards the rooms of your home from air pollution. The Airy Plant is yet another highly innovative product widely used to purify air in an efficient way without energy. You can easily drag the cooler to any room. You can also pack the device easily, as it was designed to be moved around effortlessly. Unlike the traditional air conditioners, you can set up your portable evaporative cooler in an inexpensive way. These systems are cost-efficient considering there is no need to set aside any amount for installing the device. You can buy the evaporating cooler from the online stores and simply install it in any of your rooms. After a certain period has elapsed, it is recommended that you clean the water tank, the motor, and filter components. Thankfully, you can perform the tasks with no prior expertise or experience. The evaporative cooling devices boost the level of moisture inside your home. Therefore, if you live in a region that experiences dryer climatic conditions, the cooler will come in handy. The standard AC systems have a major downside. 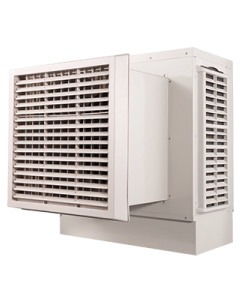 Unlike the evaporative cooler, the traditional AC units take out moisture from the environment indoors. Note that eliminating moisture from the indoor atmosphere potentially causes breathing difficulties. Furthermore, it is likely to cause cracking or drying of skin. 4. Is there any shortcomings of using Evaporative Air Coolers? – Since Evaporative Cooling Systems increase the level of humidity inside homes, do not use them in areas of humid climates. When compared to the traditional AC systems, Evaporative Coolers cool down your home to higher temperatures. Moreover, they require basic maintenance at least once every month. – Portable air coolers are designed to use water continually. In the locations having limited supply of water, homeowners might be wary of adding the cooler considering their water-use impact. – In areas experiencing low-humidity, evaporating water in the air allows homeowners to enjoy a highly energy-efficient and natural cooling method. Swamp Coolers work using this concept. These coolers cool the exterior air by letting it flow over water soaked pads. This, in turn, causes water in the pads to evaporate in the cooled air. The cooler air which reaches temperatures of between 15 °F – 40 °F is then guided into the house. The warmer air, on the other hand, is pushed outside through the windows. Fighting the burning summer heat can be difficult. Therefore, the decision to buy an Air Cooler, AC system or fan presents you with options worth considering during summer. Even so, it is important that you choose the right device because each one has its own pros and cons. The comparison of them differences are listed below. So how to calculate CMH(m³/h) requirement of your Cooler ? There is a simple way to calculate. Just follow the example to calculate the CMH of the cooler. So if the airflow of the single unit is 1800 CMH, you need one unit. Or if the airflow of the single unit is 900 CMH, you’ll need 2 units. Most of the air coolers come with a timer; it helps you to set a sleep time on the device. This option is very helpful if you don’t want to let the cooler work all the night long. All the modern air coolers come with a remote control to provide comfort and convenience when you choose from the modes. The efficiency of these coolers is linked to the design aspects of the cooler pads and the amount of humidity present in the air. – Aspen Cooling pads are generally more affordable and easier to replace or install. Furthermore, they are more biodegradable and more effective compared to the synthetic versions, but the synthetic versions last longer. 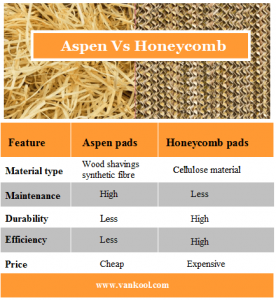 – Cellulose pads are also referred to as honeycomb cooling pads. Just like the name suggests, these pads actually resemble a honeycomb. These are thicker than Aspen Pads, have minimal maintenance needs and provide longer durability. While they might cost slightly higher, they are more efficient. As a minimum, they should preferably be 90 mm thick to enable them to provide more effective cooling of air. Some units come with a garden hose connector also known as an Automatic Water-level Controller. Through this connector, you can attach an ordinary garden hose to your unit. This will ensure there is a continuous and steady supply of water flowing to the cooler. This saves you the hassle of pouring water in the reservoir manually. In the case of there is no water level controller feature in the air cooler, it should include a water level indicator instead. If there is no automatic water level controller, you’ll have to fill the water holding tank manually. This water level indicator will show when enough water has been placed in the tank subsequently, minimizing the risk of leaking or flooding the floor by filling in too much water. For optimal cooling, fill up the tank using a mug/water pipe through the tiny inlet. This is the easiest way to top up the water to the maximum level. The Drain Valve, on the other hand, enables frequent change of water to avoid mold and mildew growth. 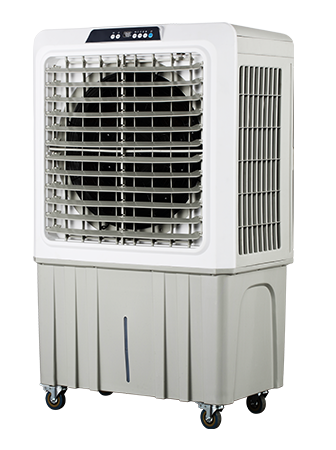 Air cooler airflow is also measured by CMH(m³/h) (cubic meters per hour). 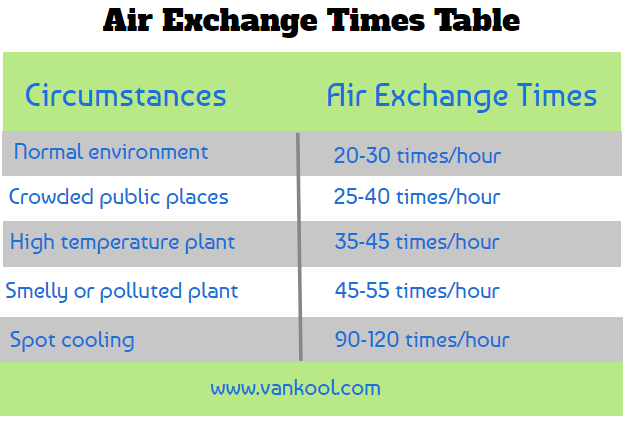 The CMH means the amount of air cycled into your area each hour. It is a good way to buy the right air cooler size by calculating the CMH(m³/h) required for your place. 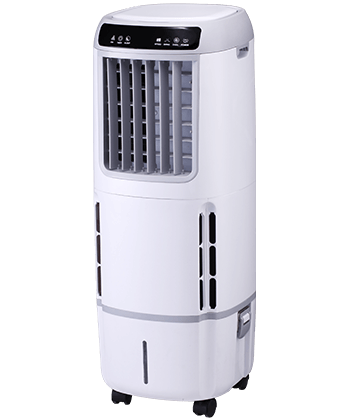 The airflow also depends on a blower or a fan use by the evaporative cooler. Fans can create airflow with low pressure but in large volumes; they are usually used in big air coolers. On the other hand, Blowers can product high pressure airflow at high volumes and often used to smaller air cooler models. While choosing evaporative cooler, you should also find the models with multiple speed settings. 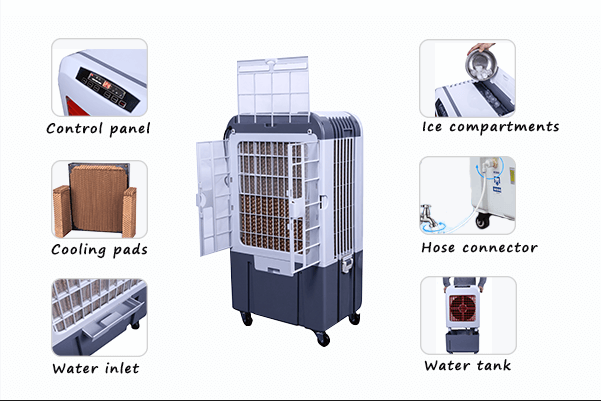 It is one of the ways to adjust the temperature in the room by controlling the airflow; most portable air coolers with 3 speed regulator at least. Except, the feature of automatic louver movement is especially important for swamp coolers, it can ensures the flow of cool air in all directions. Fan and blower are used for circulating and supplying air; however, technically they are quite different. 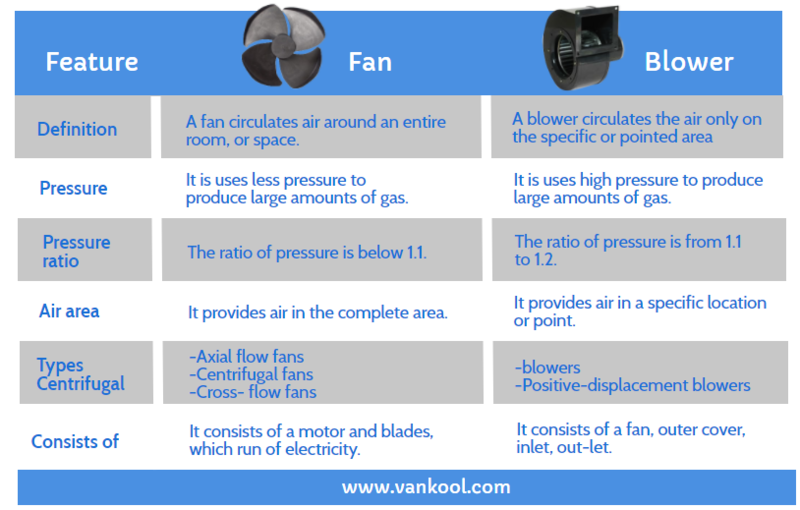 The big difference between a fan and a blower is how the air is circulated. A fan is an electrical device to move air and the air around an entire room or a large area, on the other hand, a blower is a mechanical device t a blower is a mechanical device and moves the air to a specific location or point. In general, fans and blowers are used widely for cooling purposes in the industries. Also, both are widely used in electrical appliances such as evaporative air coolers, air conditioners, microwaves, and so on. They both produce air by amount of pressure. Blowers can move lots of gas at a certain pressure while fans move largely of gas at a low-pressure. Many manufacturers incorporate special features like ice gel packs or ice compartments to produce the effect of cold air. When temperatures are very high, adding ice to the compartments will prove to be highly effective. However, the level of humidity and temperature of the atmosphere determine determines the coolness, not the ice. Therefore, adding an excessive amount of ice could potentially slow down the process of evaporation. This can hamper the air cooler’s efficiency. After determining the ideal size and type of Evaporative Air Cooler, the next step involves choosing a brand. Some of the most popular brands include Portacool (Commercial Coolers), Honeywell (Residential Coolers), and many more. For any dealer wishing to buy the coolers in bulk, choosing a manufacturer with the most competitive prices is recommended. 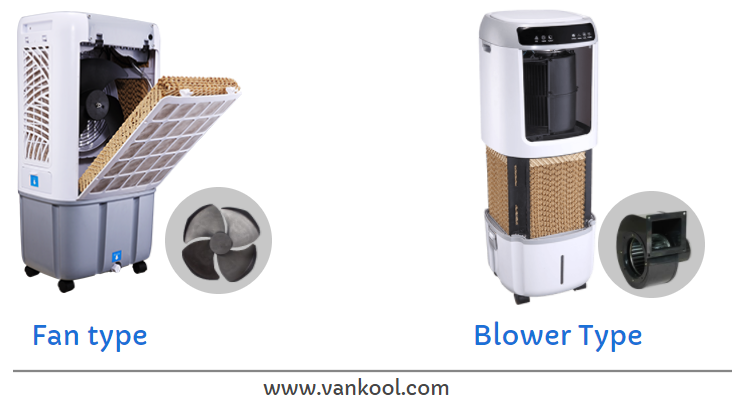 Vankool is a superb choice for those in the wholesale business. It is the preferred OEM dealer for Honeywell for the past 12 years. 8.How to clean the Evaporative air cooler? Evaporative cooler provides a high effective cooling during the hot and dry day, If you wanna to enjoy its maximum benefits, then, Follow the maintenance guidelines are very necessary. Cleaning evaporative air cooler is to prevent mold and a musty smell. 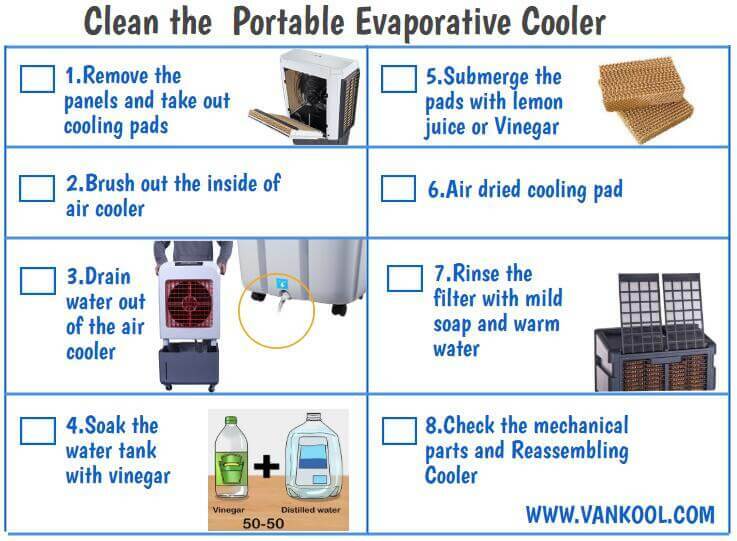 Here is 8 step instructions on how to clean your portable air cooler. Make sure your Evaporator Cooler is serviced at least twice each year. The service should ideally be done before winter and midway into summer. By executing a regular maintenance routine, the efficiency and life of your equipment will be extended. Detach the filter pads, then clean them thoroughly using a hose and if necessary, consider replacing with new ones. Close the drains, then fill up the cooler unit with water. Disinfect your air cooler with biocide. Avoid the chlorine-based bleach or other substances that help harmful organisms to thrive. Loosen all forms of sediment or slime using a brush. Empty the pipes and the tank. Clean the cooler tank using a cloth drenched in household bleach and then, pump and flush it using fresh water. Detach the cooler filter pads, including the hose. Then allow these components to dry. Dry all of the internal components. If necessary, consider fitting covers on every exposed component to avoid any form of damage. If you determining the ideal size and type of Evaporative Air Cooler, the next step involves choosing a brand. Some of the most popular brands include Portacool (Commercial Coolers), Honeywell (Residential Coolers), and many more. For any dealer wishing to buy the coolers in bulk, choosing a manufacturer with the most competitive prices is recommended. 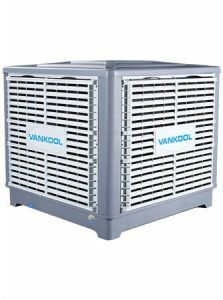 Vankool is a superb choice for those in the wholesale business. It is the preferred OEM dealer for Honeywell for the past 12 years.